The mining jobs Australia has to offer range from the basic entry-level position to trades, technical and management levels . There is a mining job for people who want to make a career in the resource sector in Australia. This list of job categories covers some of the career opportunities you will find in the mines. Professionals are able to meet the educational and/or experience requirements for mining job positions such as geologist, engineer, accountant, nurse or mine manager. Some of the top jobs on a mine site are General Manager, Open-Cut Examiner (OCE) and Senior Site Executive (SSE). For instance, every mine needs at least one geologist to explore new sites and decide where to drill. A variety of engineers are employed in the mines, including environmental, mechanical and mining engineers. Nurses are typically employed at larger sites and in the remote mines where immediate or emergency medical care may be needed. Larger mining companies hire a team of accountants, while smaller ones contract with an outside accountant. Managers in the industry include (1) human resources, (2) materials and (3) manager of training and assessment and (4) health and safety manager which is basically the same types of managers you will see in other large companies in the construction and civil works environment. Many people from overseas are especially looking to fill these types of mining jobs Australia has to offer. What are these types of semi-professional mining jobs? Australia and mining industry jobs in this niche will almost certainly require some form of formal training qualification or trade certificate. These types of jobs include work, health and safety officer, mine site supervisor, warehouse supervisor, production plant manager, mine Superintendent and electrical supervisor – as an example. For instance, the safety officer is responsible for ensuring that the working conditions at the mine are safe and that safety rules are being followed at all times. The warehouse supervisor is responsible for record-keeping and management of spare- parts, materials inventory, logistics, scheduling and reporting. Not all mining operations in Australia have production and materials preparation plants on-site. It depends on the individual mining company, the mine site location and the quality of the materials being mined. However, owing to the remote location of many of the mines in Australia, especially in the Pilbara region of Western Australia, full production and processing of iron ore is carried out on-site. Management of these types of mining activities involve supervising employees, creating maintenance schedules and training workers on WHS and operational procedures. Most mines have a office and administration staff who are responsible for keeping accurate records. Some of the roles performed could be responsibe for payroll and costs management, asset management, rostering and general book-keeping. Secretaries are held accountable for computer and general office work, which can mean long hours and time away from home working in remote mining operations. These types of FIFO office administration jobs are frequently advertised on the Australian mining jobs boards. In addition to a high school education, some relevant qualifications training and/or experience is needed to fill these positions. Technical mining jobs in Australia include mining technician, environmental technician and engineering technician. Two to three years at university are generally required to be eligible to fill these roles. 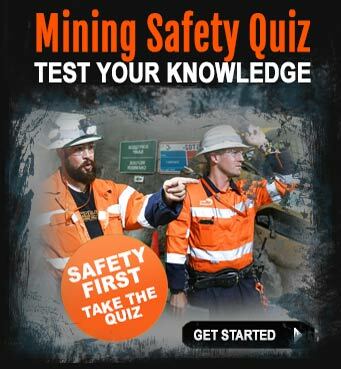 Just about every mine in Australia would have a need for Information Technology staff. With advances in communications technology, there is more and more reliance placed on computer systems to manage mining operations. The scope of IT jobs is immense. Aside from the standard computer operator jobs and data-entry operators, there are essential IT services that must be manage effectively – especially in remote mining locations in Australia. IT technicians and hardware specialists are responsible for the physical management of a computer network on a mine site. This means looking after, server, personal computers, backup devices, emergency power supply management (UPS), computer network and cabling maintenance, wireless network management and coverage, hand held device and software upkeep. Software developers and information architecture managers are responsible for keeping the computers, servers and hand held devices such as tablets, mobile phones and multi-platform communications devices operational. Custom designed software is often used by mining companies as their requirements are specific to the mining operations – so specialist programmers are required to build these systems. Not all IT jobs in mining will located at the mine site. Take the remote mining operations in Western Australia, where mine sites are thousands of miles away from the mining company head office. Computer networks allow IT specialists and operators to not only manage the computer systems on a mine site, they allow for total control and monitoring of equipment. The larger Australian mining companies who have iron ore mining operations in Western Australia employ remote controlled vehicle technology that allows huge haul trucks, loaders and even trains to do the work that required physical operation. It’s not uncommon for driver-less trains, some 3 kilometres in length to travel hundreds of kilometres from a mine site to the port under the total control of computer software. IT jobs in the mining industry in Australia are on the rise. Degree qualified people or those with years of hands-on practical experience working in the Communications Information Technology field will always be in demand to fill IT mining jobs Australia. 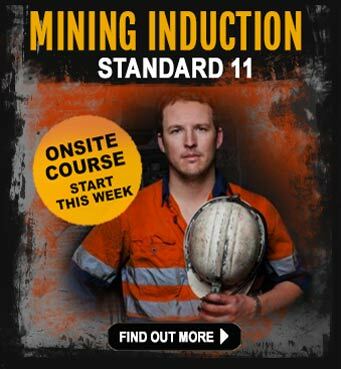 Learning a new trade or specific skills training whist being employed is a proven way to enter the mining industry. There are many options available for people of all ages to start a new career at the entry level role of apprentice or trainee. As mining is a hands-on, physical working environment, trades people are always needed. Learning a trade takes time and requires expert training and assessment to be carried out in order for the apprentice to be fully conversed in the subject topic. 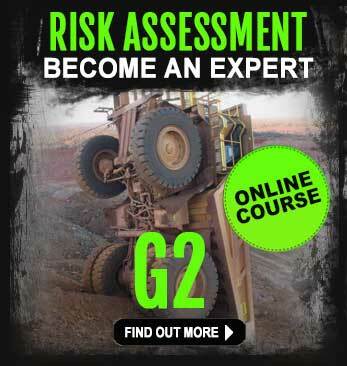 Some mining companies and mining contractors offer an apprenticeship or traineeship of some sort. Australian mining companies like Rio Tinto, BHP Billiton, Fortescue Metals Group, Peabody, Whitehaven Coal, Thiess, Leighton Contracting and Downer EDI are a good place to start looking for mining apprenticeships. The mining jobs boards in Australia are also a perfect place to seek out traineeships in the mining industry. Take a look at mining jobs boards like SEEK, INDEED, CareerOne, iMINCO, JobSearch and JobSeeker. Apprenticeships in the mining and resource sector are always on offer, even for people who are mature in age. Find out more information about mining apprenticeships in Australia and mining traineeships in Australia. Skilled mining positions are highly promoted and advertised right across Australia and attract a lot of attention from international applicants who dream of a life working and living in Australia. The term ‘skilled’ can have many meanings, although when we talk of ‘skilled mining jobs’, it usually refers to a job or position that requires the person has attained either a high level of education, a recognised trade qualification or a certification of some sort. Personal attributes of a skilled mine worker are the ability to work in teams, be a leader of people, take responsibility seriously, be a good communicator at all levels, have a natural aptitude for problem solving, be creative and inventive, be able to work unsupervised and e able to contribute and adhere to safety policy and procedure at all times. 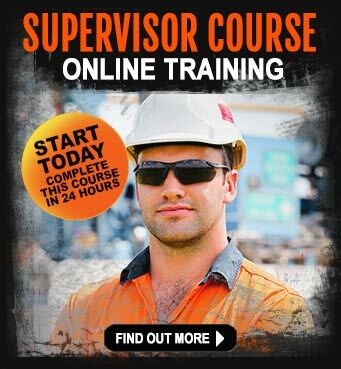 Entry level positions at the mines require little or no experience but training may be helpful. In most cases, an entry level job will involve helping people in the more skilled or professional positions. There are blast helpers, mechanic`s helpers, driller`s assistants and geophysical assistants, for example. See a complete list of entry level mining jobs in Australia – or review some of the more popular mining jobs that are on offer at the entry level. These tips are also good and will help entry level job seekers understand just what types of jobs they can do in the mines in Australia. Those are some of the categories of mining jobs that Australia has to offer. If you are looking for a new career, get the iMINCO Project News – the resource sector could be the right place to look for mining jobs Australia.